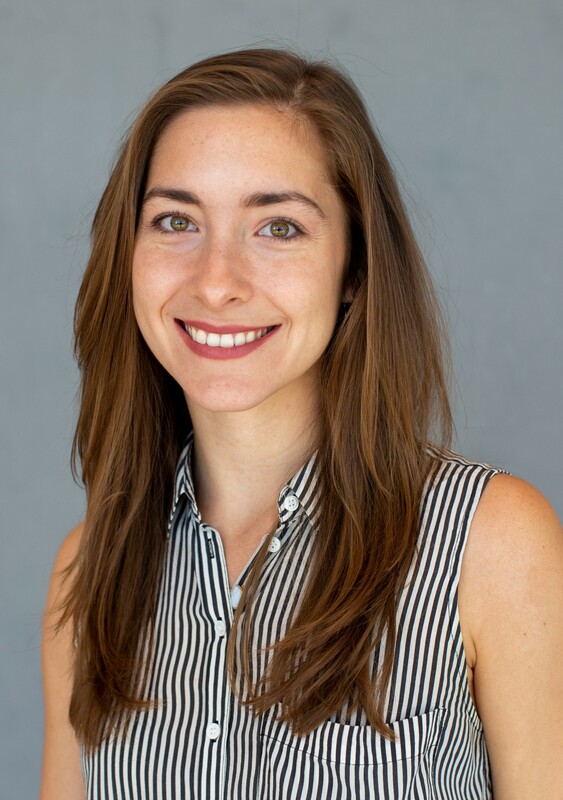 Amanda Sanchez is a doctoral student in the Clinical Science Ph.D. program at FIU and a member of the Mental Health Interventions and Technology (MINT) Lab. Her main research interest focuses on the accessibility of quality mental health care for traditionally underserved families. More specifically (1) innovative delivery (i.e. internet-based/supported treatment and training), (2) service delivery in children’s natural environments (e.g. schools) and (3) understanding perceptual barriers to care for ethnic minority and low-income families. Amanda completed a B.A. in Psychology with a focus in Child and Adolescent Mental Health from New York University. Prior to beginning at FIU, Amanda served as a Behavioral Counselor for NYU’s Summer Treatment Program (STP) for children with disruptive behavior disorders. Additionally, she worked at the Child Mind Institute (CMI) as a Behavioral Counselor in the Brave Buddies Program for children with selective mutism supervised by Dr. Steven Kurtz, and as a Program Assistant in the Parent Child Interaction Therapy (PCIT) Program directed by Dr. Melanie Fernandez. Most recently, she served as a full-time Research Associate for Dr. Carrie Masia’s study on school counselor implemented Cognitive Behavioral Therapy for high school students with social anxiety. Sanchez, A. L., Kendall, P. C. & Comer, J. S. (2016). Evaluating the intergenerational link between maternal and child intolerance of uncertainty: A preliminary cross-sectional evaluation. Cognitive Therapy and Research. Cornacchio, D., Sanchez, A.L., Chou, T., & Comer, J.S. (in press). CBT in children and adolescents. In S.G. Hofmann & G. Asmundson (Eds. ), The science of cognitive behavioral therapy: From theory to therapy. New York: Elsevier. Fernandez, M.A., Adelstein, J.S., Miller, S.P., Areizaga, M.J., Gold, D., Sanchez, A., Hirsch, E., Rothschild, S. (2015). Teacher-child interaction training: A pilot study with random assignment. Behavior Therapy, 46(4), 463–477. Sanchez, A. L., Chou, T., Becker K. D., Zoromski, A. K., Ogle, R. R., & Hooley, C. (2015, November). New Advances and Recent Innovations in the School-Based Implementation of Evidence-Based Practices. Presented at the annual meeting of the Association for Behavioral and Cognitive Therapies. Chicago, Il. Sanchez, A., Greif Green, J., & Comer, J.S. (2015, April). Adjustment among children with relatives who participated in the manhunt following the Boston Marathon attack. Paper presented at the 34th annual meeting of the Anxiety and Depression Association of American. Miami, FL. Masia Warner, C., Brice, C., Moceri, D. C., Mufson, L., Lynch, C., Klein, R., & Sanchez, A. (2014, November). CBT for social anxiety disorder delivered by school counselors: Preliminary results of a randomized controlled trial. Paper presented at the Association for Behavioral and Cognitive Therapies 48th Annual Convention, Philadelphia, PA.
Sanchez, A.L., Brice, C., Lynch, Masia Warner, C. (2013, November). Perceptions of social anxiety among Asian American high school students. Poster presented at the annual meeting of the Association of Behavioral and Cognitive Therapies, Nashville, TN. Areizaga, M.J., Sanchez, A.L., Grosovsky, E.B., Lansiquot, S., Cornacchio, D., Duncalf. J.N., Stein, R., Fernandez, M.A. (2013, November). Short-term follow-up of families who participate in Parent-Child Interaction Therapy: An outpatient clinic sample three to six months post-treatment. Poster presented at the 45th Annual Convention of the Association for Behavioral and Cognitive Therapies, Nashville, TN, November 2013. Herzig, K., Stewart, C. E., Sanchez, A., Masia Warner, C. (2013, November). Parent-child relationship factors in adolescent anxiety: The development of the Parent-Child Co-Worry Questionnaire. Poster presented at the annual meeting of the Association of Behavioral and Cognitive Therapies, Nashville, TN. Fernandez, M.A., Gold, D., Hirsch, E., Adelstein, J.S., Sanchez, A., Rothschild, S., Miller, S.P., Areizaga, M., Kurtz, S.M., Milham, M., & Klein, D. (2013, September). A pilot study of Teacher-Child Interaction Training (TCIT) with random assignment: Results and reflections. In K. Budd (Chair). A Closer look at coaching: Implementing Teacher-Child Interaction Training: Lessons Learned in Collaborating with School Partners. Symposium presented at the Parent-Child Interaction Therapy International Biennial Conference, Boston, MA. Sanchez, A.L., Cornacchio, D., Lansiquot, S., Grosovsky, E.B., Duncalf. J.N., Stein, R., Areizaga, M.J., Fernandez, M.A. (September 2013). Short-term follow-up of families who participate in Parent-Child Interaction Therapy: An outpatient clinic sample six to nine months post-treatment. Poster presented at the 2013 PCIT International Convention, Boston, MA. Cornacchio, D., Grosovsky, E.B., Lansiquot, S., Areizaga, M.J., Sanchez, A.L., Duncalf. J.N., Stein, R., Fernandez, M.A. (September 2013). Predictors of attrition from Parent Child Interaction Therapy in an outpatient clinical sample. Poster presented at the 2013 PCIT International Convention, Boston, MA. Essling, P., Fox, J., Lurie, S., Stewart, C., Sanchez, A., Herzig, K.,A., & Masia, C. (2012, November). Relationship between parental attitude and child anxiety: Does treatment influence parental attitude? Poster presented at the 46th Annual Meeting of the Association of Behavioral and Cognitive Therapies, National Harbor, MD.